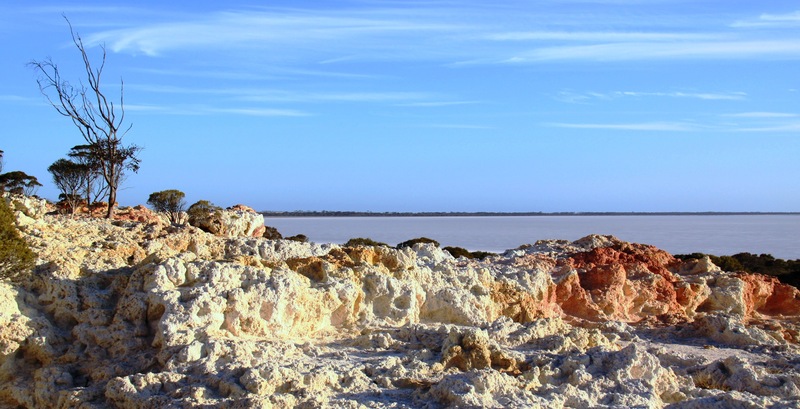 The waterways and wetlands of the Wheatbelt have been shaped over millions of years by the climate and geology. The Wheatbelt landscape of today is very flat and the ancient river valleys (palaeochannels) have become filled with sediment. When significant rain falls, the salt lakes become a fully functioning aquatic systems with aquatic flora and fauna usually lying dormant as buried seeds and eggs awaiting the right conditions. Unless the rainfall is very heavy many of the lakes are very saline (saltier than seawater) or dry for most of the year. Even in their dry state they offer stunning scenery and great photo opportunities. Salt lakes are wetlands which are fragile natural environments and are particularly susceptible to the physical impacts from off-road vehicles, motorcycles and quad bikes, these vehicles should NOT be driven on, or near the lake edge. Easily accessed along the Beacon – Bencubbin Road this lake offers magical photography opportunities especially taking in the night skies. Located slightly east of Doodlakine along the Great Eastern Highway, Baandee is a popular ski lake in the area. The Inland Water Ski Club have created a pleasant picnic and BBQ area, with swimming and skiing possible for some months of the year. The Shire of Kellerberrin has provided ablutions and shower facilities. Located 8km south of Dowerin, originally an ephemeral fresh water lake system and site for the original town settlement in 1895. This lake turns pink at certain times of the year and does not disappoint if anyone is looking for a pink lake experience closer to Perth. Situated about one kilometre to the north of Wave Rock. The water in the lake is clear but salty and the lake base is made of gypsum and is surrounded by beach sand around the perimeter. A large salt lake 5km west of Kondinin and after sufficient rain there is an abundance of water birds and ski and sail boat activities. A colourful information sign has recently been installed at the Lake which provides interesting information on its’ history, geology, flora and fauna. 20 kilometres east of Kulin on Holt Rock Road (follow the Tin Horse Highway), you will find a shady picnic spot at the base of Jilakin Rock. An easy climb to the top of the rock provides spectacular views of Jilakin Lake and the surrounding Wheatbelt. Wildflowers form a wonderful display during August to September. 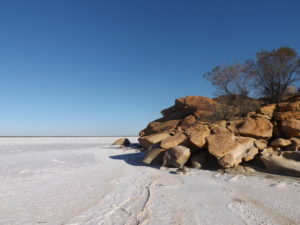 Jilakin Rock also boasts the most isolated known stand of Jarrah (150 kilometres from the main Jarrah belt), surviving on the water run off an quality soils at the base of the rock. Lake Grace North & Lake Grace South two interconnecting salt lakes are located 8km from the town site. These two lakes are so large that they are rarely able to fill completely. Water in the lakes can be blown from one side to the other by the wind. There is a picnic spot to the west of Lake Grace North and also a magnificent lookout which overlooks these two vast lakes. 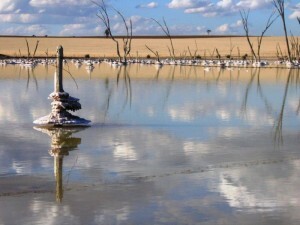 Situated approx 13km east of the Narembeen townsite, this lake has undergone major work to harvest water back into the natural lake water is dependent upon seasonal rainfall). During the summer months the lake is a hive of activity with ski boats and water pursuits popular with locals and visitors. Kids playground, BBQ and toilet facilities are available. This is a picturesque location, with abundant bird life. Before entering the lake with boats, please contact Brendon or Anita Parsons +61 8 9061 8080 with boat insurance details. Located 34km south west of Newdegate, in times of flood this lake is a wonderful skiing area. Canoeing and bush camping are also popular and the lake is a hot spot for birds and other wildlife. Lake Brown is accessible of the Lake Brown South road north east of Nungarin. Lake Brown is a salt lake and when full is used for water skiing. Eaglestone Rock is on the north shore of Lake Brown. Located on Stock Road north east of Nungarin, Lake Campion is a salt lake which during the wildflower season is sprinkled with pink everlastings. White winged fairy wrens inhabit the sapphire margins of the lake. A BBQ area is also available by the lake on Chandler Nungarin Road. Situated 11km east of Quairading, regarded locally as a natural phenomenon. Divided by the Bruce Rock – Quairading Road, at certain times of the year one side of the lake has a distinctive pink colour, whereas the other side remains blue. Located 6km north of Southern Cross on the Bullfinch Road this lake is named after the Aboriginal words Koorkoor -’meat’ and dine – ‘place of’. It is here you will find Hunt’s Soak one of many of the remarkable daisy-chain of wells and soaks which provided the early prospectors with water until CY O’Connor built the water pipeline. Due to the water and wind erosion over the years some very interesting miniature caves, cliffs and bays await your discovery. Lies 26km to the north of Wyalkatchem on the Wyalkatchem Koorda Road. The lake gives it name to the Cowcowing siding and covers an area of 15,000 hectares.